This book is the first South African work on this crucial new tool for the successful investigation and prosecution of crime. It introduces readers to the biological principles of DNA and emphasises the importance of the chain of custody and pre-trial disclosure. 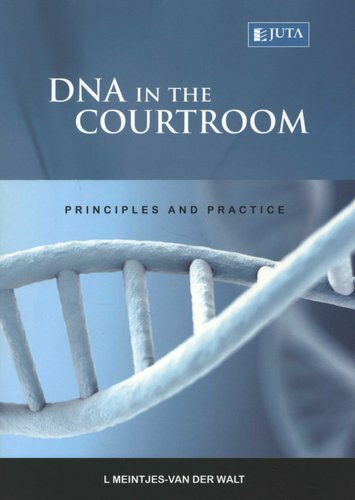 It also looks at the process that a DNA-sample has to go through before a DNA test result can be produced, as well as an explanation of test result interpretation. 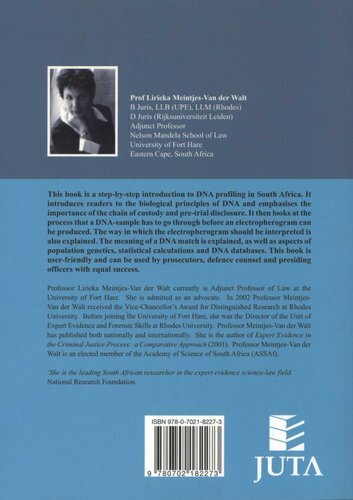 The meaning of a DNA match is explained, as well as aspects of population genetics, statistical calculations and DNA databases.